To get free, first you gotta see the cage you’re in (your personality type). Yet every day we bump into these nine personality types. Soft bumps, hard bumps. When somebody’s got your goat, is it you? Is it them? Is it both? Get a clue with the Enneagram, which is rooted in ancient contemplative wisdom and modern psychology. As humans we develop a personality style to help us deal with the world and express ourselves. Our personality certainly does not express all of Who-We- Really-Are (each of us being a wondrous unique Essence like none other). But the personality is a useful structure that helps us cope effectively with physical life. 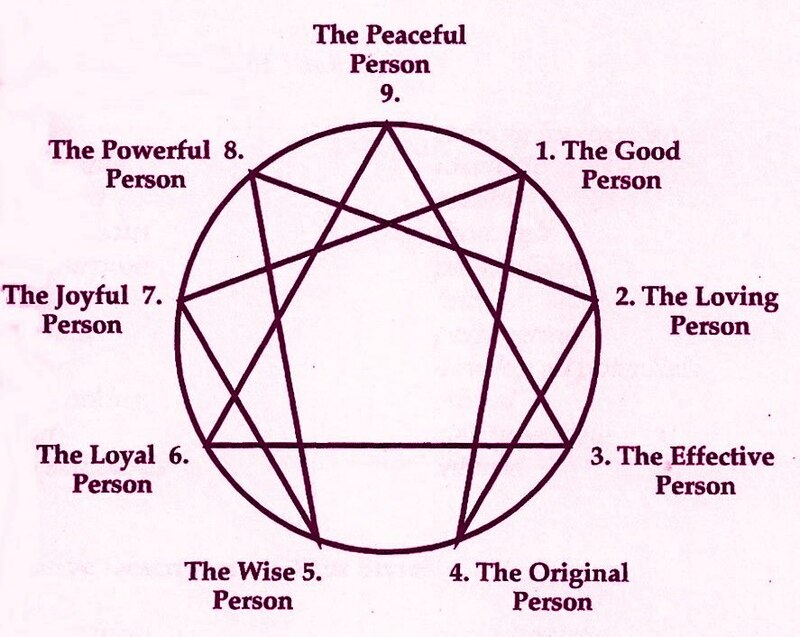 Enneagram — the numbers are simply names, no hierarchy. Each of the 9 types has a particular Habit-of-Mind. A distinct way of looking at the world, as if through personality-sunglasses. 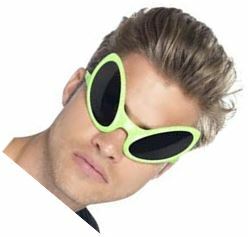 My sunglasses may be far different than my neighbor’s, making it hard to see eye-to-eye. We may disagree on what the world looks like. How safe is it, or not? Is it intrusive? Lonely? Vengeful? Melancholy? Never good enough? As we mature, many of us begin to feel our personality growing tight, like a jacket we have outgrown. We start asking ourselves, why do I have this automatic reaction over and over again? Why do I have this ax to grind or this blind spot, but other people don’t? Or perhaps we’ve spent years watching our partners or friends getting stuck in repetitive behaviors that don’t serve them. (Of course, we are a little stuck too, if we would take a look.) We all have outmoded defenses. Working with the Enneagram helps us take off our straitjacket, little by little. We can breathe, we can heal, we can grow. We find ourselves with more compassion and more tolerance. We receive the balm of new understanding upon our relationships. It helps immeasurably with our family life, our work life, our community life. It brings us stability, peace, happiness. As we observe our personality structure, we are led to a deeper inner life. 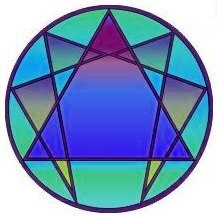 Enneagram combined with meditation helps us get in touch with our Essence and with the Source of all. Years ago I designed the following brief quiz. It is not exhaustive, but it might get you started in the right direction. 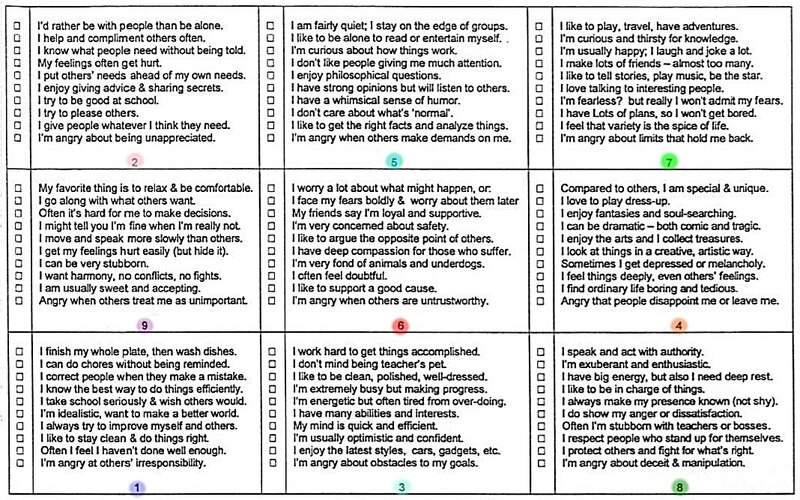 Check all the tiny boxes that apply to you. Whichever area gets the most marks might possibly be your personality style (the number in the colored ball). Click on the grid to enlarge it. This entry was posted in Meditation, Mind, Self Healing and tagged Arizona Enneagram Association, contemplative, David Daniels, Enneagram, enneagram quiz, habit of mind, Helen Palmer, inner life, Jerome Wagner, meditation, mental-health, personality, personality triggers, personality types, Russ Hudson. Bookmark the permalink.